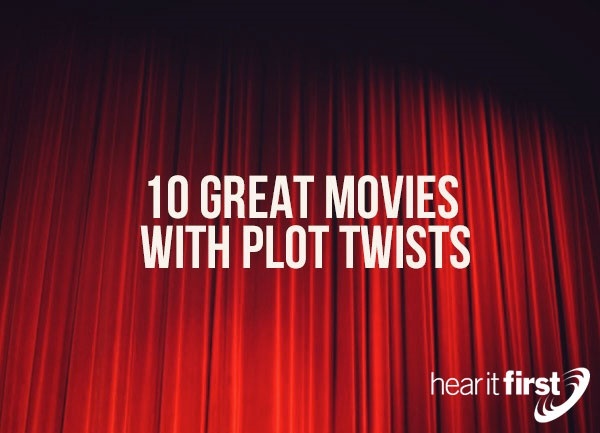 Here are ten great movies with amazing twists in the movie plot. No one even knew that they were part of a matrix, ran by a computer program had basically had everyone living in a dream world. They were part of the matrix which provided energy for the computer to survive the scorched earth that World War III apparently brought on. This 1999 American movie stars Keanu Reeves, Laurence Fishburne, and Carrie-Anne Moss. Reeves plays Thomas Anderson who goes by the name Neo and is contacted by Trinity, an infamous computer hacker who finds Neo and who later hears about a prophecy that “he is the one.” Neo dies…but then, ultimately takes on the machines (known as agents) and defeats them, causing the matrix computer program to fail. The movie, Planet of the Apes is close to the original movie that starred Charles Hesston in the late 1960’s but there are some interesting twists and differences than in the original movie. This movie stars Mark Wahlberg as a Leo Davidson who works closely with the primates who are sometimes sent into space for exploratory missions. When a huge electrical storm threatens the space station, a small space pod piloted by Pericles is used to probe the storm but disappears so Davidson, against the captains orders, leaves in another space pod and ends up on a planet ruled by apes…but the greatest twist is when he returns home, he finds the entire civilization of earth is now ruled by primates. The Perfect Storm (2000) was based upon a novel written by Sebastian Junger who tells the story of the Andrea Gail, which was lost at sea in a “perfect storm” which produced a record hurricane. After the Andrea Gail returns with another meager catch, the Captain Billy manages to convince the crew to try one last time but at their usual spot, the Grand Bank, they have little success, so the risk going to their limit, which is the Flemish Cap, a dangerous place due to frequent Nor’easters that can easily sink any ship. After they begin to haul in endless numbers of tuna, their ice machine breaks down, so they’re forced to head back home…through the storm, to get their catch back to port before it spoils. The only problem is, the “perfect storm” is in their way…and they make a fatal decision to pass through it….and they nearly made it; if not for that one last, titanic wave. The movie, Cast Away is about a man who is works for FedEx but then becomes stranded on a deserted island after a FedEx plane crash at sea. Chuck Noland (played by Tom Hanks) tries to survive as best he can with a few FedEx packages that washed up on the shore. He is so lonely that he becomes attached to a volleyball which he carries on conversations with and gives him some companionship and even names him Wilson. When Chuck returns some four years later, the FedEx Company has a gigantic celebration but his joy is dampened when he finds out that family had given up on him, believing him to be dead and his wife having remarried. When Noland makes his last delivery in Canada, the packages with the angel wings on it, he tries to deliver it at the address on the package but nobody lived there, so he leaves a note, saying “This package saved my life.” As he sits at a crossroad, as if not knowing where to go, a woman in a pickup truck tells him where each road leads. As she drives away, Noland sees the angel wings and smiles. When astronaut Taylor (Charlton Heston) and two other astronauts land on another planet, they have somehow traveled into the future. When they crash into an unknown planet, they discover it’s ruled by a civilization of primates who have advanced beyond what the astronauts remember primates being. On this planet, humans are a species and seen as animals and inferior to the primates. What happens in the end is that Taylor and Nova, a former captive of the apes, escape and try to find a new life and a new place where they are free from ape’s cruel, iron-fisted rule. What Taylor finds at the very end of the movie is a half-buried Statue of Liberty, telling him that he isn’t far from home…but this is the same planet he came from; earth! Soylent Green is a movie that takes place in 2022 where a processed food product is rationed to the support an overburdened world population. Detective Thorn (Charlton Heston) leads an investigation into the world’s main food supplier and the CEO. What he finds is not what he expected. He discovers that Soylent Green is produced from humans…that is, humans are the food for themselves, in a twisted sort of cannibalism. By the time Detective Tom finds out, it’s too late to do anything about it. The move, Rudy, is a real good, feel good story that up to the very ending, you don’t expect what eventually happens. The movie is the account of Daniel “Rudy” Ruettiger’s burning passion to play for Notre Dame Football, but he is significantly under-sized, so most everyone just laughs at him…even his own brother constantly scorns him for thinking he’d even have a chance to play for Notre Dame. More than that, Rudy is undersized, lacks adequate grades, and doesn’t have the money to pay for school even if he had the grades and size. He is the ultimate underdog, who by chance, makes the time and surprises even himself and shocks his family and friends. Anything that C.S. Lewis writes is always worth the read, and the movie, The Lion, the Witch, and the Wardrobe is no exception. The movie is definitely Christian in overtone as you will see as you watch the movie and the ending is just as much as a surprise as the time when Jesus was delivered up to die on a cross, because the Jews had expected the Messiah to come and rule permanently and not die. That’s much like what they thought of Aslan, the leader of the kingdom of Narnia, but he is killed by the wicked witch who seems to play the role of the Satan-inspired leaders who incited the crowd before Pilate and had Jesus crucified. Just like Jesus, Aslan is resurrected from his death, and if you’ve never seen this movie, that’s an unexpected turn. The movie, The Straight Story, is a true-to-life account of a man (Alvin Straight), who makes a journey across the American Midwest in the only mode of transportation he has; a 1966 John Deere lawn tractor, and behind him, he’s pulling a small homemade travel-trailer. He travels from Laurens, Iowa to Mount Zion, Wisconsin at top speed (5 mph!) but against the wishes and anger of his family, but he is determined to make it to see his brother who’s suffered a stroke and lives in Mount Zion, Wisconsin. I hope you can find some enjoyment from these somewhat “surprise endings” because they are a lot like life; full of surprises, twists, turns, and detours, but for those who have trusted in Christ, they know that they path will eventually lead into the kingdom for they have believed on the Lord Jesus Christ and been saved. For those who reject Christ, and since He is the one and only way, you too will face a surprise ending, but not one that God desires, nor do I (Rev 20:12-15, 21:8). Today could be your day of salvation if you trust in Christ today. Tomorrow? Who knows if that even comes. This we know; that after death, comes the judgment (Heb 9:27). Are you read for that?